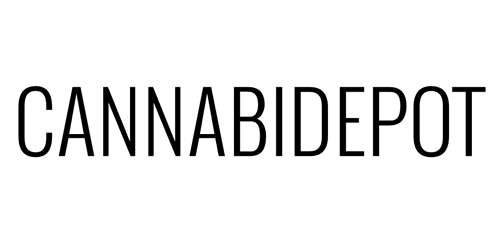 Humboldt Nutrients Master B, 32 oz. Chamber size: 17 x 15 x 14"
AI 1.9 cu ft forced air ovens use a microcontroller to enhance precision, accuracy and uniformity. Memory function retains all your settings when power is down and resumes previous oven operation when power is back up. Alarm can be set to trigger when current temperature is outside of desired range. 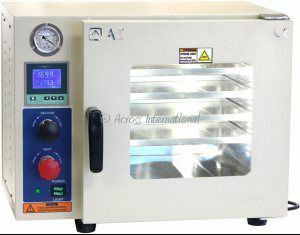 Chamber size: 12 x 11 x 11"
AI 0.9 cu ft forced air ovens use a microcontroller to enhance precision, accuracy and uniformity. Memory function retains all your settings when power is down and resumes previous oven operation when power is back up. Alarm can be set to trigger when current temperature is outside of desired range. 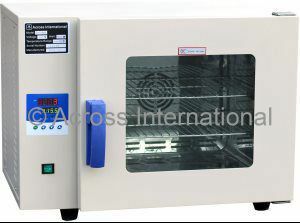 Chamber size: 10 x 9 x 10"
AI 0.5 cu ft forced air ovens use a microcontroller to enhance precision, accuracy and uniformity. Memory function retains all your settings when power is down and resumes previous oven operation when power is back up. Alarm can be set to trigger when current temperature is outside of desired range. 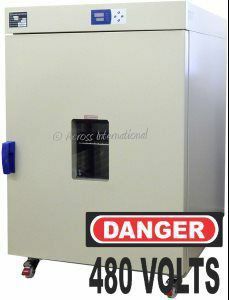 Chamber size: 31 x 31 x 39"
Note: This model only available in 480 volt single phase. AI 22 cu ft forced air ovens use a microcontroller to enhance precision, accuracy and uniformity. Memory function retains all your settings when power is down and resumes previous oven operation when power is back up. Alarm can be set to trigger when current temperature is outside of desired range. Introducing the new Ai AccuTemp 0.9 cubic foot vacuum ovens (110V only), come standard with stainless steel tubing, stainless steel vacuum & vent valve, oil-filled vacuum gauge, 5 sided pad heating technology and two year warranty. The thermal-conductive aluminum pan shelves provide excellent temperature uniformity inside the chamber, while standard is the 3rd gen LCD low proportional gain temperature controllers keep your oven temperature within +/- 1°F accuracy, in either °F or °C. AccuTemp-09 series digital desktop vacuum ovens feature a 0.9 cubic foot easy-to-clean stainless steel chamber with a large dual-layer tempered glass safety window and small footprint. 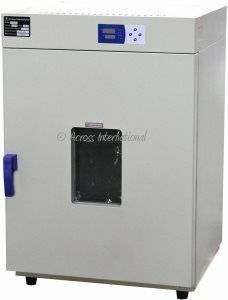 These ovens can greatly reduce drying time by maintaining a consistent vacuum level within the chamber. Every one of our vacuum ovens goes through a 2-time 24-hour vacuum leak test, and is 100% quality controlled in New Jersey or Nevada before leaving our facilities. All stainless steel internal tubing provides higher ultimate vacuum, holds vacuum 10 times longer, and require minimum maintenance. Built-in inch mercury vacuum gauge and circuit breaker. All ovens shipped from our New Jersey or Nevada location for quick delivery, and come with two year warranty and lifetime US-based parts and service support. Guaranteed US based phone and email assistance within 30 minutes from our engineers. 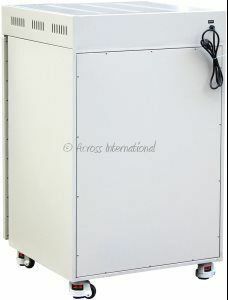 Chamber size: 27 x 26 x 35"
Note: This model only available in 220 volt single phase. AI 14.5 cu ft forced air ovens use a microcontroller to enhance precision, accuracy and uniformity. Memory function retains all your settings when power is down and resumes previous oven operation when power is back up. Alarm can be set to trigger when current temperature is outside of desired range. The new Across International AccuTemp-160 series digital vacuum oven features a gigantic 16 cubic feet easy-to-clean stainless steel chamber with a large 3/4" tempered glass safety window. With our new internal shelf heating technology, each shelf in these ovens has its own heater, in-shelf temperature sensor and temperature controller, together with great thermal-conductive aluminum and our new low proportional controller technologies, the result is perfect uniformity, accurate temperature, super-fast heating rates, minimum heat loss/exterior temperature and very low power consumption. Every one of our vacuum ovens goes through a 2-time 24-hour vacuum leak test, and is quality controlled in New Jersey or Nevada before leaving our warehouses. Six well thermo-conductive aluminum heated shelves with individual in-shelf temperature sensor, heater and digital temperature controller. All stainless steel internal vacuum tubing and compression fittings that holds vacuum 10 times longer and deeper than with rubber tubing. They also provide you the most sanitary working environment, while last for decades without maintenance. Oil-filled mechanical vacuum gauge ensures the most accurate and stable measurements. Built-in secondary over-temp dial for added protection. Adjustable vacuum and vent port with needle valves gives you control over vacuum and vent rates, while also largely enhanced durability. 3rd gen low proportional gain temperature controller keeps your oven temperature within +/- 1°F accuracy, in either °F or °C. Dual layer observation window with 3/4" tempered safety glass. A vacuum environment lowers the boiling point (great for processing heat sensitive materials) and reduces drying time for materials like paste or powder which cannot otherwise be easily dried. Built-in check valve prevents vacuum oil back flow. Built-in station-able swivel casters with locks for ultra-portability. All ovens shipped from our Nevada or New Jersey locations for quick delivery, and come with one year warranty and lifetime US-based parts and service support. 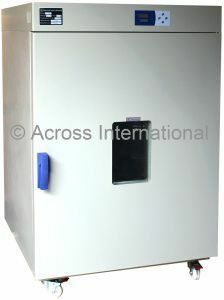 Chamber size: 24 x 20 x 30"
AI 8 cu ft forced air ovens use a microcontroller to enhance precision, accuracy and uniformity. Memory function retains all your settings when power is down and resumes previous oven operation when power is back up. Alarm can be set to trigger when current temperature is outside of desired range.